The foods that you consume during pregnancy are important because they can affect your baby positively or negatively. During your first trimester, a lot of growth is occurring as your baby develops his major organs. If you are unsure which foods are safe to eat during pregnancy, ask your doctor, but you should know about some major food safety issues. Eating raw meat during pregnancy can increase your risk of sickness from bacteria such as E.coli. Some types of bacteria can cause harm to your baby or make you too sick to stay hydrated and get the nutrients you need. 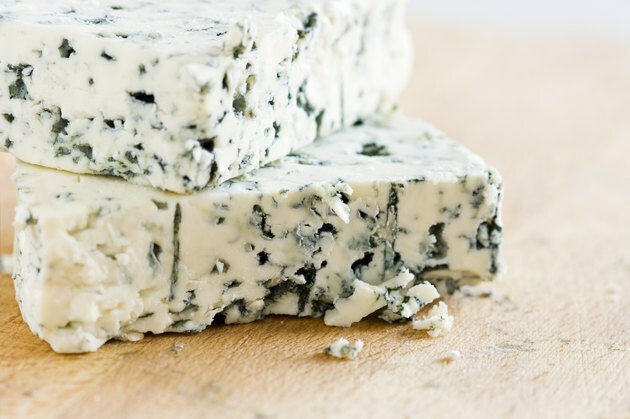 You also need to be aware of deli luncheon meat and some types of soft cheeses, such as feta, blue and gorgonzola. Deli luncheon meat and soft cheeses can contain listeria, a bacteria that can cross your placenta and cause infection. If you become infected with listeria, the American Pregnancy Association (APA) states that it can be life-threatening and increase your chance of having a miscarriage. If you eat soft cheeses, choose types that are made with pasteurized milk, and heat your deli luncheon meat until it is steaming. All fish contain some amounts of mercury, but large amounts can lead to developmental delays or brain damage in your unborn baby. Avoid large predatory fish with high amounts of mercury such as swordfish, tilefish and king mackerel. You can safely eat up to 12 ounces a week of low-mercury fish like salmon, tilapia and shrimp. 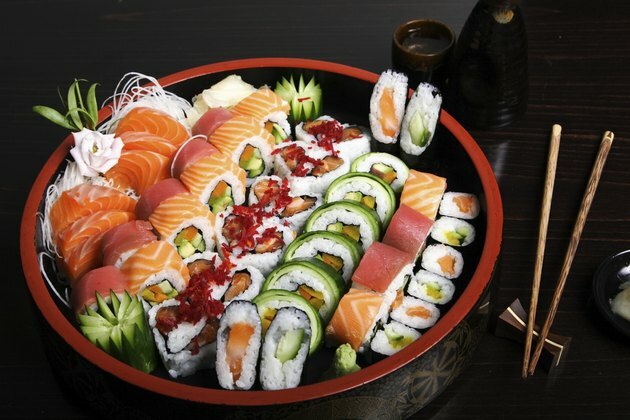 Avoid sushi or raw shellfish, which can contain bacteria. The APA states that caffeine can cross the placenta during pregnancy and increase the likelihood of miscarriage. 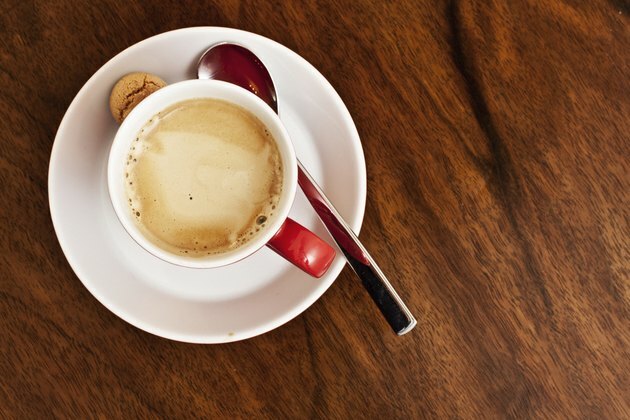 Stay on the safe side by consuming no more than 300 mg of caffeine a day. Coffee, tea and soft drinks are common sources of caffeine, but it can also be found in foods like dark chocolate. Read labels carefully and monitor your consumption so you do not consume excessive amounts. Consuming raw eggs can lead to salmonella poisoning. Many products can contain raw eggs, such as cookie dough, brownie batter or cake batter. 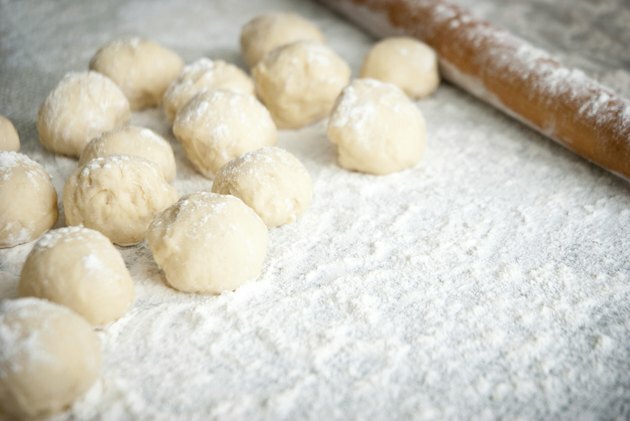 Avoid eating batter or dough, even if you prepared the mix yourself. 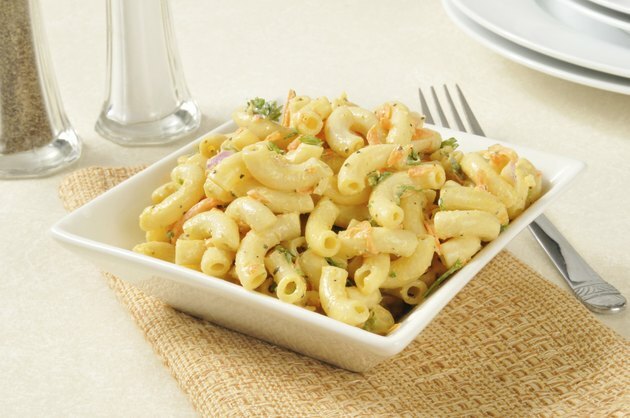 Salmonella can also be found in mayonnaise-based products such as macaroni salad or potato salad, so avoid eating expired products or mayonnaise based-salads that have not been refrigerated. Can Pregnant Women Eat Feta Cheese? Is Seared Foie Gras Safe to Eat When Pregnant?